Order in the next 11 hours 8 minutes and your package will ship on Wednesday, April 24. Order in the next 11 hours 8 minutes and your package will ship on Monday, May 6. 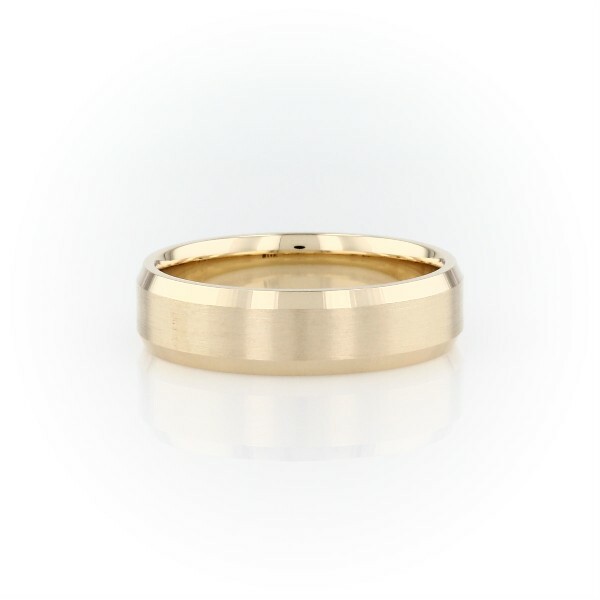 Solidify your love with this symbolic 14k yellow gold wedding ring, showcasing a classic lathe emery finish and spun beveled edges.